So I knew I had an evening home alone and fancied cooking ...uh er.. I mean making something a little different. First stop, the butcher. I went to the butcher in Milford just down the road from the hospital. Eye fillet was selected and a piece cut from a whole fillet. 133 grams worth, which was actually quite a lot. I would probably use only about 100g next time. 1 tablespoon of chooped red onion. 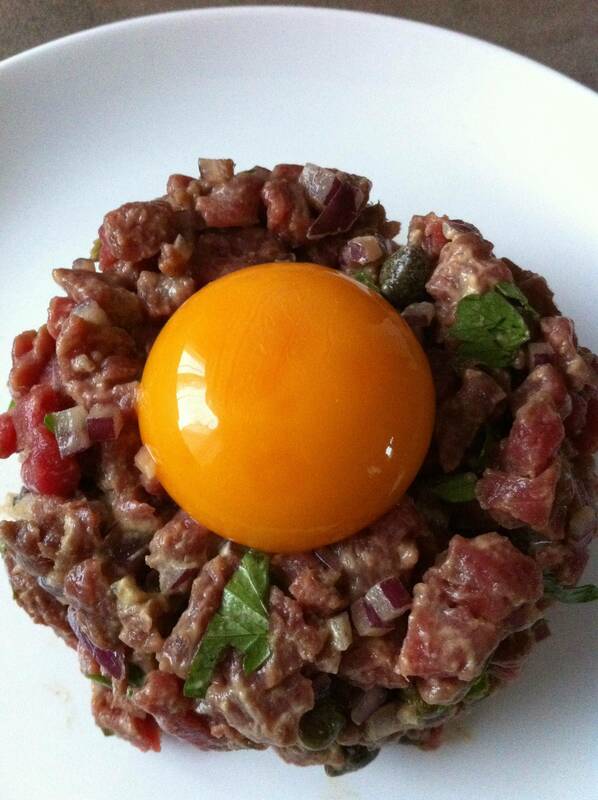 I arranged the meat in a thick patty shape and made a well, then bam, cracked egg, got yolk free with bare hands got rid of yuck egg white and La de da - Steak Tartar!